Home Business Will face-to-face meetings become a thing of the past? In the presence of sprawling technology, organizations are still incurring huge costs in board meetings and transport costs. 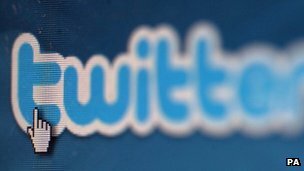 Numerous solutions have been offered by tech companies but it appears actual usage of these services has remained muted. Virtual meetings, or meetings over the internet are yet to fully be actualized. Virtual meetings allow participants to hold meetings over the internet and without travel. They allow users to see and hear each other as if they were in the same room and enable any user to share information on their computer with everyone else in the meeting. Technology is responsible for changing the way we live our lives today and business transactions have not been an exception. Letters were long ago largely replaced by email communication, which could soon also be replaced by even better technology. The next barrier technology will smash through to ease doing of business will be the requirement to move to Nairobi, Kigali, Dar es Salaam, Johannesburg etcetera, physically – unless one really has to physically travel. This realization has been made more real with the landing of the high-speed broadband undersea cables on East Africa’s coast. This infrastructure has helped reduce the coast of broadband and as a result, numerous possibilities have been presented. Back in February 2011, CISCO in partnership with Tata Communications and Safaricom launched TelePresence facilities at the Kampala and Nairobi Serena Hotels. 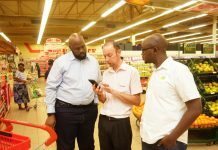 The aim of the facility was to minimize people’s travel expenses by delivering a live, immersive, face-to-face experience from the Nairobi Serena Hotel, Kampala Serena Hotel or the Safaricom offices in Nairobi via the network. A TelePresence meeting is as simple as making a phone call. Participants sit down at the conference table in one of the TelePresence rooms and connect to the other participants with a simple answer of a phone call. Individuals automatically appear on the screen, irrespective of where in the world they may be sitting. The setup of the rooms allows for participants to feel as if they are sitting across a table, in a life size, meeting room. 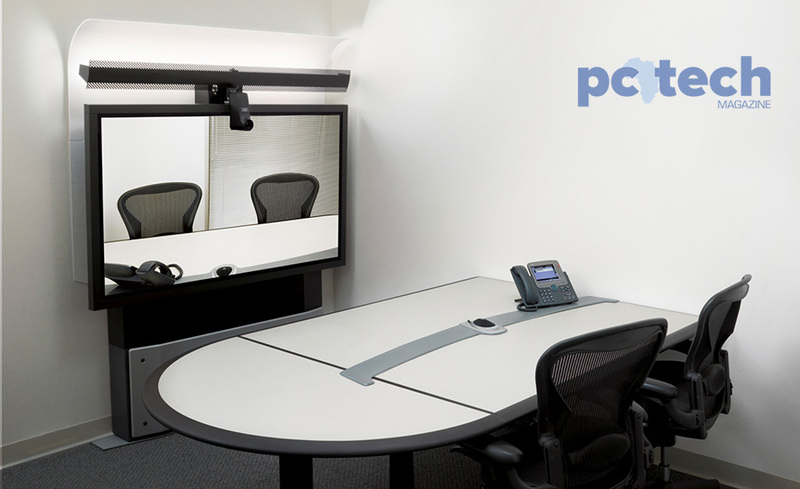 The rooms are installed with a Cisco TelePresence System 3010, which allows up to six people to connect simultaneously with up to 48 locations. It comprises three 65-inch plasma screens and a specially designed physical table that seats six participants on each side of the virtual table. It also features an additional LCD display for sharing rich media content and other data using simple auto-collaborate functionality as well as integrated cameras, lights and microphones so that speakers use less power. At the time of the launch, Safaricom’s CEO, Bobby Collymore enthusiastically said, “In today’s climate, people across East Africa are looking at better ways to conduct business, keep a firm control on costs, and get more productivity. Fast forward, have companies actually reduced expenditure on meetings? Are the facilities being optimally utilized? Are the rates favorable? All these are questions do not readily have answers because institutions, companies and individuals still prefer face-to-face meetings as opposed to virtual meetings. Top executives prefer to fly to a particular country for a meeting instead of online meetings. Spencer Jarrett, of InVision Communications in an opinion published on the Bloomberg debate room says that virtual meetings will not replace live meetings. “Asking if virtual meetings will replace live meetings is like asking if singles’ chat rooms will replace real dating. Human face-to-face interaction is, and will continue to be, the most effective form of communication. Live meetings deliver the rich, potent experiences that virtual meetings can’t. They deliver motivation along with messaging, and inspiration with information,” his opinion reads in part. Ugandan executives have curved out an infamous niche for themselves as people who prefer to travel for ‘benchmarking.’ Some argue that they need to see for themselves what actually takes place on the ground as opposed to being told through presentations on screens. With the various applications today; Facebook (calls), Microsoft Lync, Whatsapp and Skype among others, connecting with a person in a distant country is as simple as owning a smartphone. It doesn’t have to take a rocket scientist to master how to use these apps that are available on the various Smartphones. A Uganda Communications Commission (UCC) report; ‘Post, Broadcasting and Telecommunications Market and Industry Report for Q1 2014’ seems to suggest that applications like Whatsapp, Skype, Viber among others have taken over as it reveals that there was a drastic reduction in the amount of international voice traffic. “Both the international incoming voice traffic and the International outgoing voice traffic experienced a drop of 18.1% and 9.8% respectively. A similar trend was observed in the previous quarter in which 4.4% and a 3.1% drops were realised in international incoming voice traffic and the International outgoing voice traffic,” reads the report in part. Kassim Omar, the National Chairman of the Uganda Clearing Industry and Forwarding Association and CEO of Nordic Freight Limited says that the intermittent nature of the region’s network makes it difficult to hold a successful online meeting. “We are more comfortable with both face-to-face meetings and teleconferencing than videoconferencing. The network in East Africa gives us a poor reception during a videoconference. We however carry out some of those virtual meetings with some big companies that have the facility installed at their premises,” he said in a telephone interview. Onapito Ekomoloit, the Corporate Affairs Director at Nile Breweries Limited says that they do not use video conferencing technology at their company because the system is not yet fully developed in Uganda. “I believe UCC and other players need to develop this facility because it will help so many companies hold cost effective meetings. We are part of a global company and it would be ideal to hold such a meetings,” he weighed in. Simon Arineitwe, the General Manager at Azam Pay TV on the other hands says that he uses the technology for meetings with his teams based in Tanzania and that this has not only helped in cutting costs, but also helps office work go on uninterrupted. “For those of us in management, when we leave our workstations, several other tasks are held up or postponed. With this facility, I can hold meetings from my office and at the same time continue with my daily duties,” he explained. 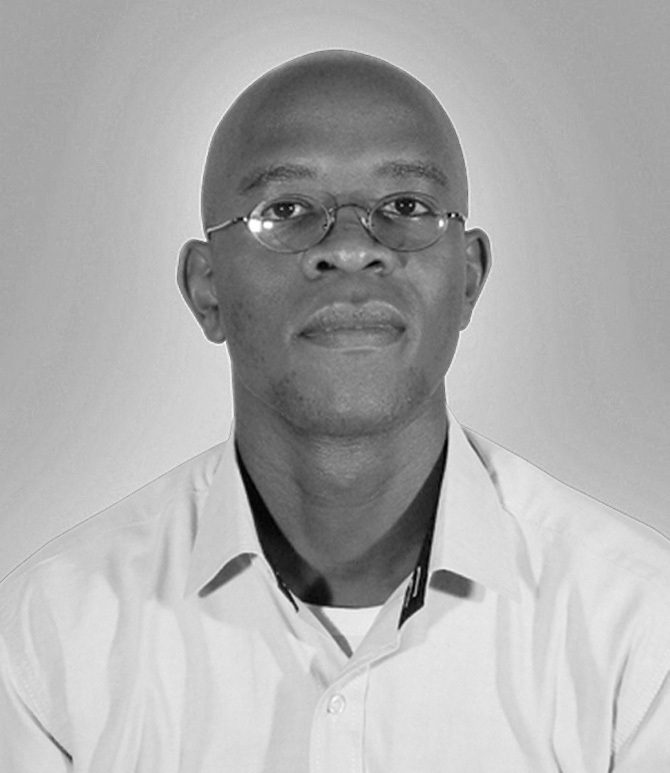 Alex Rukundo, the Managing Director of MetropolitanRepublic Uganda, an advertising and Public Relations agency said that the video conferencing or virtual meetings is the future and it can grow exponentially if inputs to make it efficient are dealt with, like cost, efficiency or fast connectivity and relevant expertise. “We do use this facility at our company…in fact I believe we have one of the best Video-Conferencing facilities in Uganda with dedicated bandwidth to be able to connect with our counterparts across the world. It’s certainly helped us coordinate efficiently between our Agencies and even between us and the clients. It’s also help us collaborate with our counterparts and tap into their expertise and global learnings cost-effectively,” he told PC Tech Magazine. He also adds that they have seen up to a 60% reduction in costs. “Previously, the norm was for teams to fly in from South Africa and other countries when we had big presentations. Now, they are done virtually with a full room because we’ve been able to share, learn, collaborate and most importantly, develop high quality client work at the click of a simple button,” Rukundo explains. Brent Arslaner, of Unisfair Inc in an opinion published in the Bloomberg debate room says that online events are the best, most cost-effective places to exchange information and meet and greet. “In these tough economic times, advancing technologies are making virtual events not only a less expensive replacement for physical meetings but also a superior one. Why do we have meetings and events? 1) to exchange information; and 2) to network. Virtual meeting and event technology can facilitate these two objectives easily,” reads his article in part. Adding, “The technology allows the virtual attendees to “enter” a building that can look like any convention center or meeting place. With a click of a button they can enter the conference hall, with a podium and audience, and choose which conference sessions they want to see and participate in. The jury is still out there; perhaps while virtual meetings will never entirely replace live ones, the technology has a place within physical events. But whether businesses will embrace these technologies at the expense of executives’ per diems remains to be seen. As of now, both technologies are on the Ugandan market and the first client should be Government so taxpayers’ shillings go where they are much needed instead of administering Government.